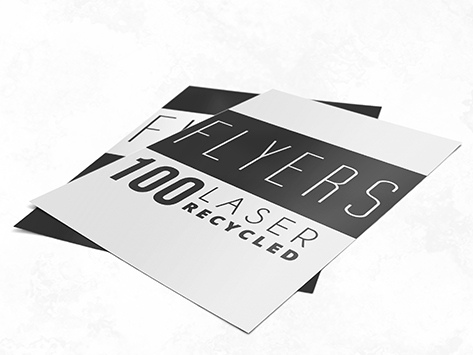 When there are so many questionable claims about eco-friendly advertising, our 100% Ecostar recycled flyers are probably one of the best choices you can make. To start with, you’re using a 100% recycled stock. Secondly, you’re using a waterless offset printing method, which is environmentally sustainable.